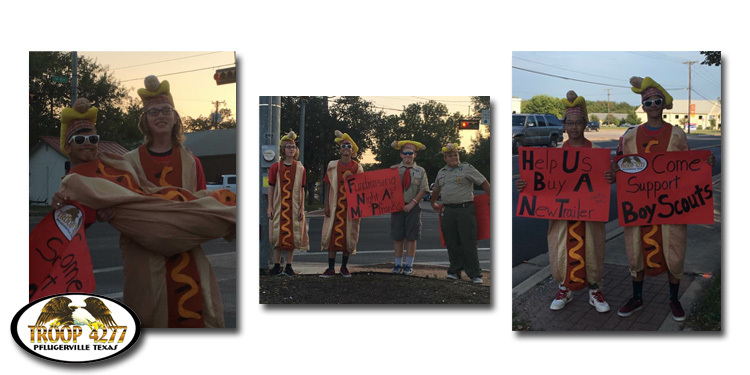 Welcome to Boy Scout Troop 4277! 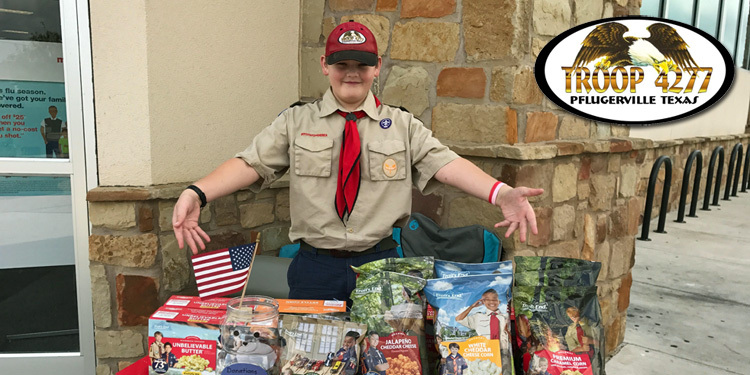 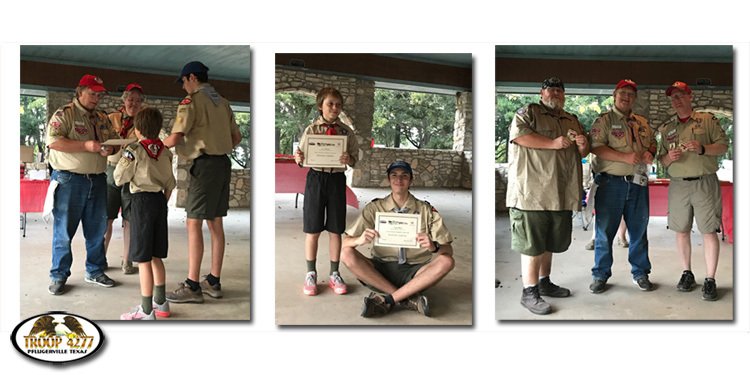 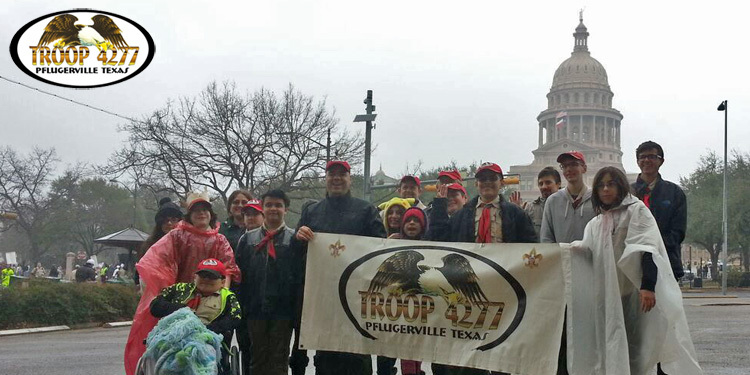 We are a very active troop in Pflugerville, Texas. 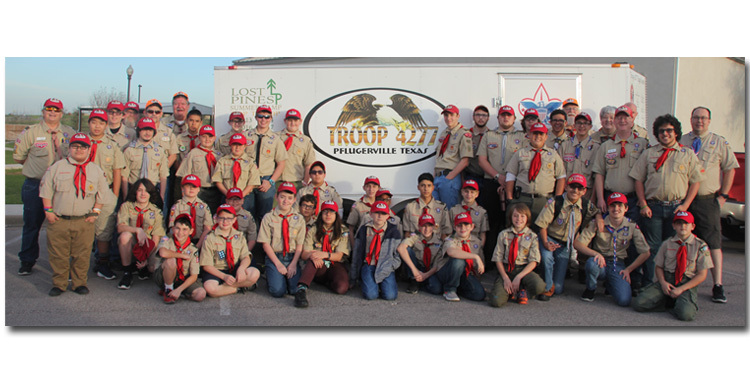 We meet Monday evenings at 7:00 P.M. at Pflugerville Community Church (1214 E. Pfennig Ln.). 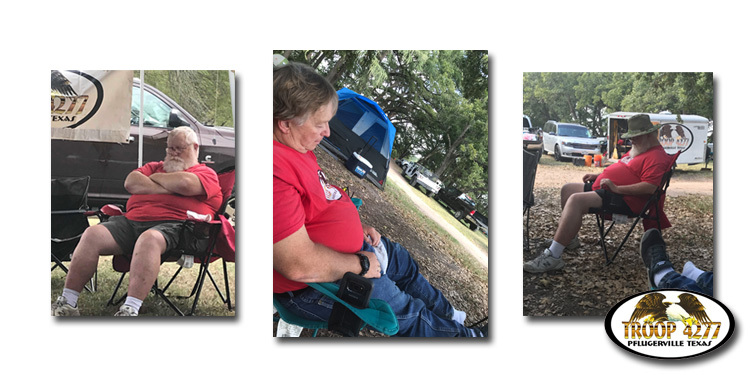 We go on lots of camp-outs throughout the year including at least one out of state summer camp on even-numbered years. 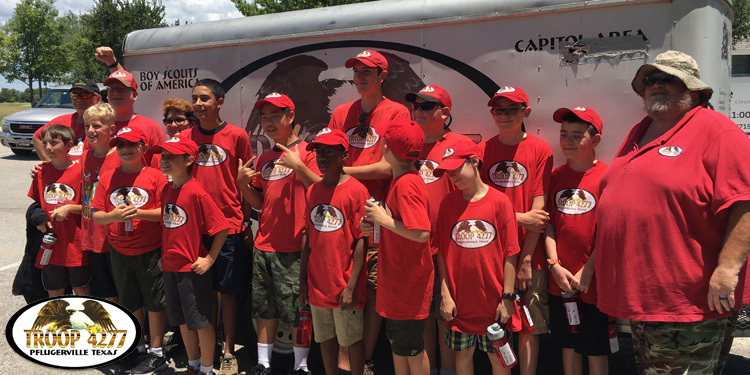 We help out around the city where ever we can so keep an eye out for our red troop t-shirts!